Solution: The following diagram shows the reaction profile of a reaction.Label the components indicated by the boxes. 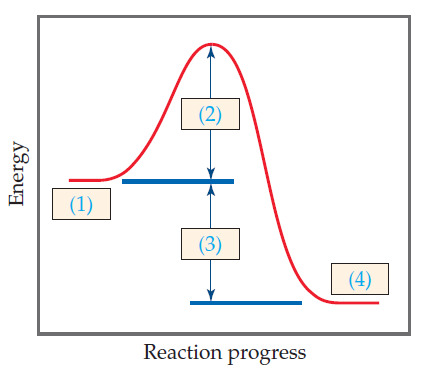 The following diagram shows the reaction profile of a reaction. Label the components indicated by the boxes.